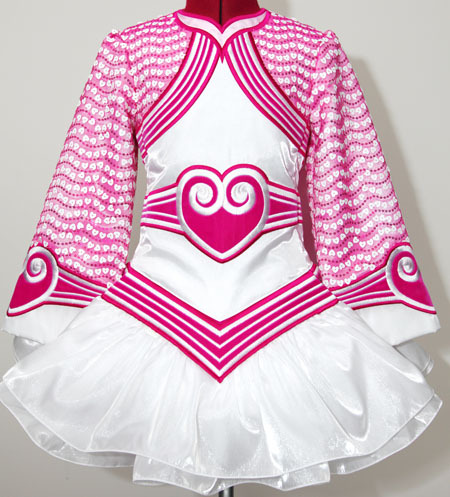 White twinkle satin 'bolero' style bodice with bold pink velvet appliqué design with pink and white embroidery. 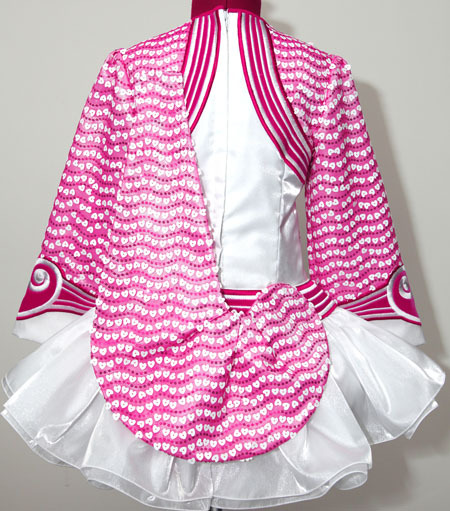 Sleeves and shawl constructed from adorable pink lace with white heart shaped sequins. 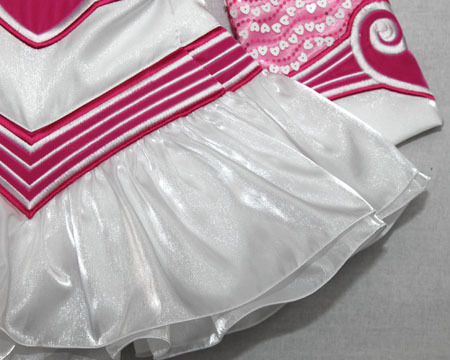 Baby pink and white polka dot cotton underskirt lining.